Thrifting Central Ga. : I am Hosting a Community YARD SALE ! I am Hosting a Community YARD SALE ! 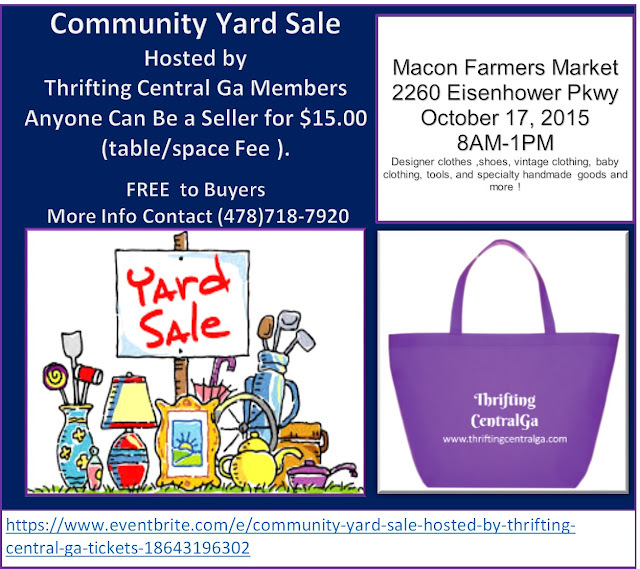 On Oct. 17th several TCGA members and I will be hosting our Community Wide Yard Sale. The sale helps members sell off some of their thrift overflow, while offering great deals to the thrift yard sale shoppers in the community. * I am encouraging members to donate unsold items to the Salvation Army. There is a Salvation Army donation area around the corner from our sale location .The donation area is staffed , so donors can get a tax donation receipt for the donation. My First Black Girls Run Outing! 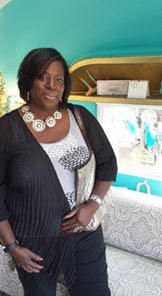 I Supported Historic Macon and Their Cause!